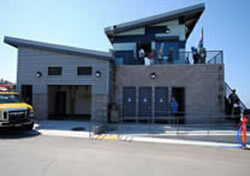 Grand Opening and Ribbon Cutting Ceremony of the El Segundo Life Guard Station was held on Wednesday August 21, 2013. It was no simple feat constructing the new county lifeguard building and restrooms on the beach in El Segundo. 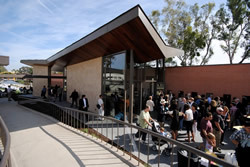 The Grand Opening and ribbon cutting ceremony of the Bob Cole Conservatory Music Pavilion and Plaza was held on Saturday October 20, 2012. This project included the demolition and renovation of the existing building. A new modern building addition was completed. *This is not a valid phone. *This field is required. Copyright© 2009 , SBSCorp.us. All rights reserved.